Here is a quick list of some good and not so great pet fish for beginners, along with some notes about their care and dispositions. I also prefer glass tanks to the acrylic varieties because they are less expensive, more durable and easier to maintain. Plus, it's been my experience that these last longer. Experts often disagree about the types of fish that are best and worst for beginners. I for one was surprised to see guppies and goldfish high atop many a best and worst list. I do agree that guppies (which fall under the category of livebearers, fish who prolifically breed live young as opposed to laying eggs) aren't a great choice because they are not that easy to maintain, contrary to popular belief. For one, their tanks have to maintain a certain degree of salinity (percentage of salt to fresh water ratio), despite that these are technically freshwater fish. Guppies are also prone to certain health issues, such as mouth, tail and fin fungus, among others. Furthermore, when I had them as a kid, they bred profusely and would eat their young! While this is considered uncommon, this was not a pleasant experience. Interestingly, I had a number of goldfish as a kid, who were very mellow and had pleasant dispositions. The only reason why they didn't last very long was because I kept them in old-fashioned fish bowls, as I didn’t know any better at the time. Then when I became an adult, I had some pet goldfish (that I kept in a 20-gallon tank with the proper equipment) that lived a long time, but for some reason had serious issues. Mr. Sparky, who suffered from an anti-social personality disorder, was like the Tony Soprano of the fish world! He whacked a succession of his tank mates until I introduced an unusually resilient, congenial fish named Beau, and the two became the best of friends. Otherwise, experts point out that goldfish are the Oscar Madisons of pet fish inasmuch as they produce a ton of waste, are prone to chew up decorative plants, are gluttons with terrible "table manners" and are generally slobs. But I disagree with those who do not think they are good fish for beginners. I feel that the humble goldfish is a good first pet, as long as they are kept separate from other fish and are housed in tanks large enough for them to roam freely. Ultimately, these fish are extremely hardy, easy to care for and (despite my later experiences, which really are not the norm) generally well behaved. Some other fish beginners are Angelfish (the freshwater variety), Tetras and Bettas (Siamese Fighting Fish). This list is by no means conclusive; there are many other fine fish beginners may like and do well with. But these examples represent a good starting point. It's very important for local fish store proprietors to be up on and provide their customers with as much knowledge as possible about this complex pet endeavor. So I encourage fish store operators to carry a good selection of informative books for fish hobbyists, especially the beginners. Not only will this afford your customers a better understanding about how to successfully keep pet fish, this will also provide you with an added retail component that many in this business overlook. 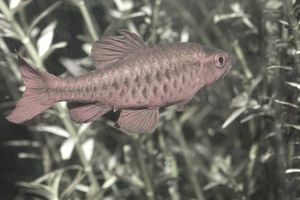 Do bear in mind that acquiring those first pet fish is a memorable, exciting experience for beginners, especially kids. This is also a prime opportunity for local fish store operators to cultivate new longtime or even lifelong customers.